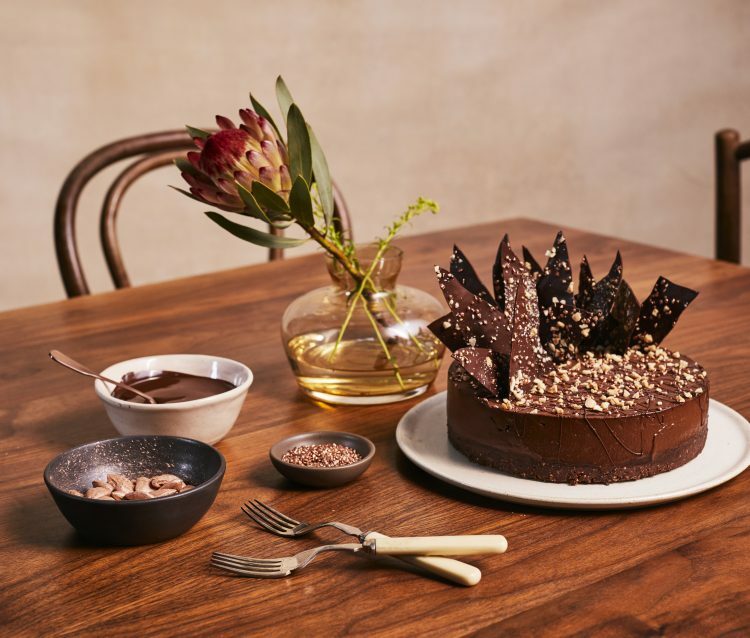 To celebrate Veganuary, award-winning patissier and chocolatier Lucie Bennett has created the most sumptuous vegan chocolate ganache cake to inspire all the chocolate lovers out there, that you can have your cake and eat it too. In a food processor, blend the almonds and dates until they have broken down in small pieces. Add the coconut oil and maple syrup and blitz until combined. Press down the mixture with the back of a spoon in the tin until smooth and level..
Almande and maple syrup to the simmer, pour over the chocolate and stir together until smooth, allowing to cool.